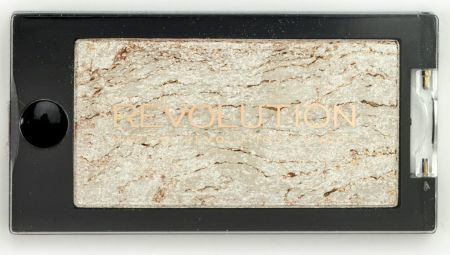 Budget brand Makeup Revolution continues to impress me with the quality, selection and price of their products…I keep buying and testing, because at these prices it would be ridiculous not to. I think I have found my new Makeup crush – this is definitely a new favorite brand of mine. 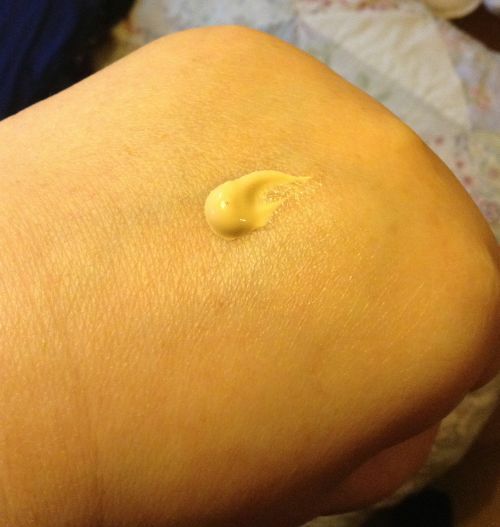 However I have to say that it is very pale when you squeeze it out of the tube. 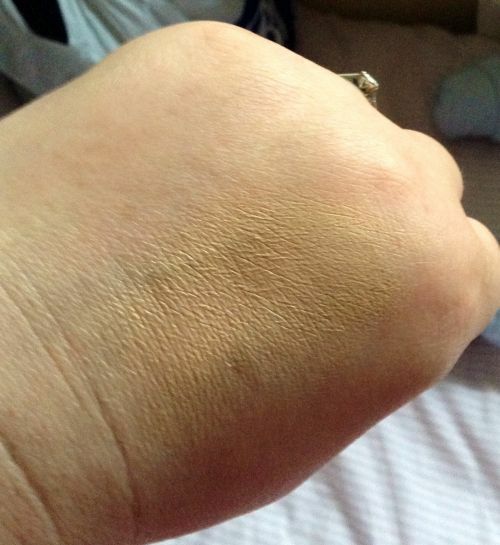 The funny thing is, once I applied it, the foundation blended seamlessly and it’s actually the perfect colour for me. I’ve been wearing it for 3 days now and it lasts all day long. 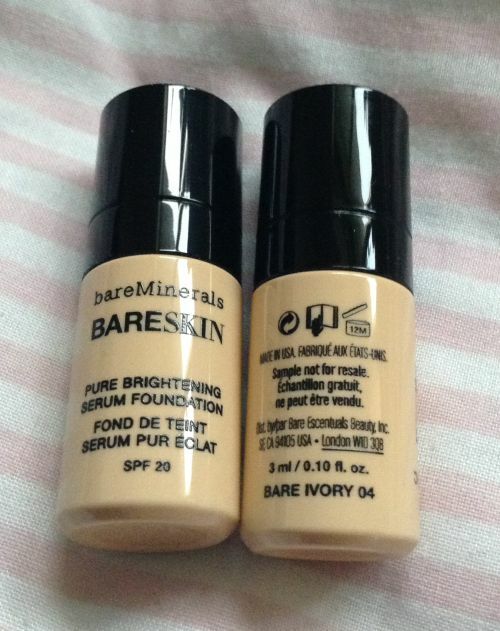 It stops any shine from coming through (I have quite poly skin), and gives quite a nice, flawless finish. 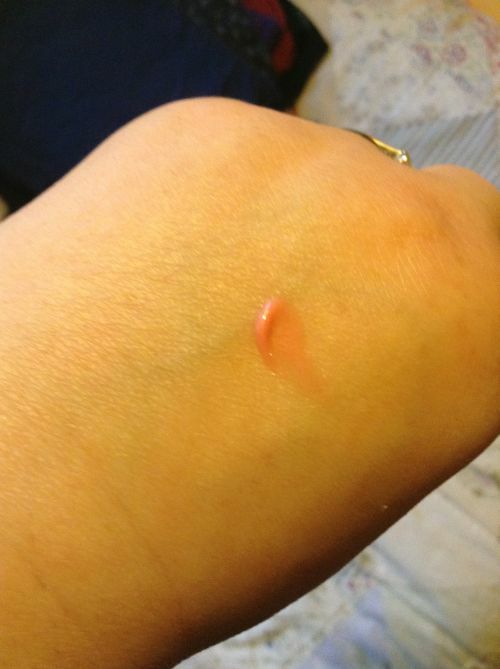 My skin feels smooth, unclogged and able to breathe. It really doesn’t feel like I’m wearing any foundation at all. 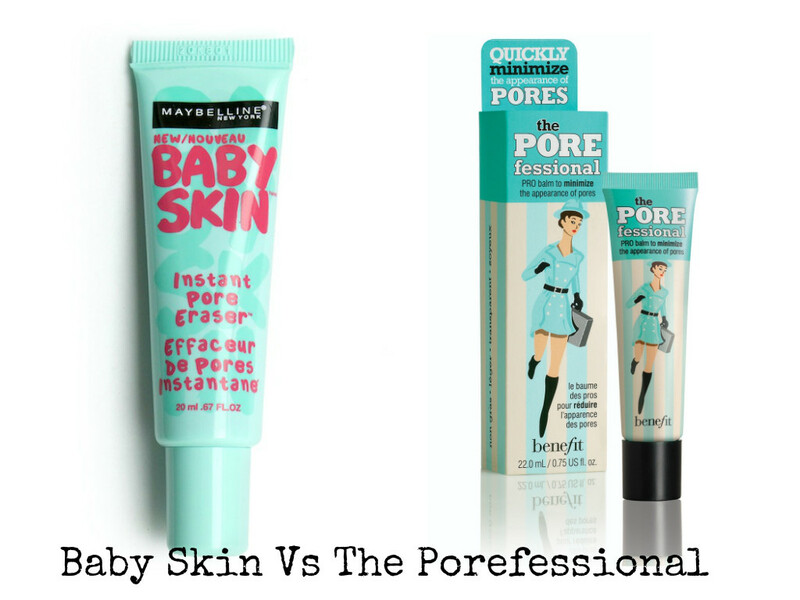 The formula is quite thick and not at all runny, which means less mess! 9/10. I really, REALLY love this product and so does my skin. Next up is the £1 Lip Gloss tube. My selected shade was Hush, hush – a soft pink. I love these tubes. The formula is much better than the ELF counterpart – it’s not sticky and it’s longer lasting. The packaging is nicer and there is a nice smell with it too – kind of fruity, like strawberries. I love this lip gloss and will definitely go on to try other colours. The 9 shades are so on trend and versatile that I think they would suit most skin tones – they’ll definitely suit most budgets! 8/10. 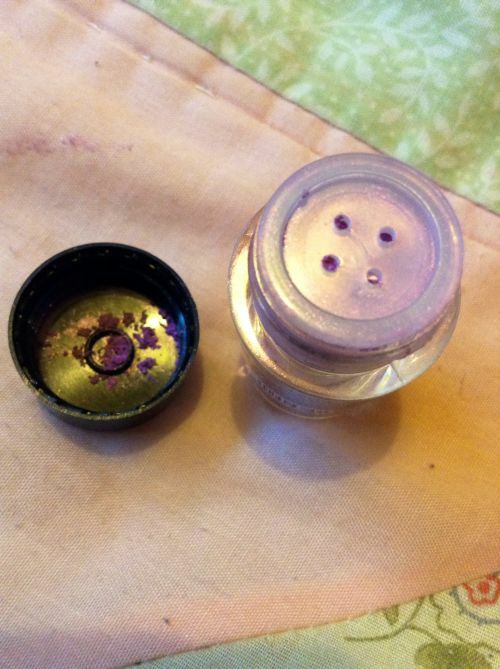 Finally, we have another colour of the Eye Dust. I previously tested the colour ‘Vitality’ here. This time I went for Purple to help my green eyes pop. The colour is Levity. Not sure about this colour. With purples, there’s a fine line between the right colour and looking as though you’ve been punched in the eye. 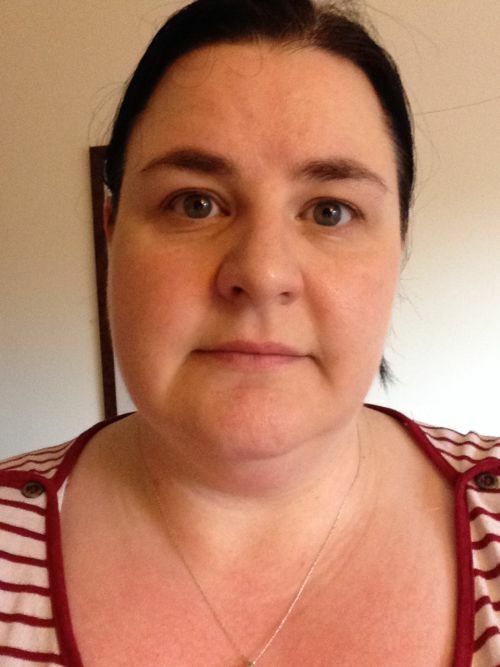 I think this colour was a bit too dark for everyday work wear for me….I’m still making my mind up. The quality, pigment and price were all spot on though! So now it’s a waiting game…..waiting for payday so that I can order more £1-£2 goodies! Have you tried this brand yet? Any suggestions what I could try next? I’ve been a Birchbox member since July, but forgot to blog the first two boxes I received. So I’ll have to start with Septmeber’s box…which is pretty awesome, I have to say. First of all, let me explain what Birchbox is. You pay a monthly fee – in this case £12.95 (inc P+P) and you get your box of goodies delivered once a month. 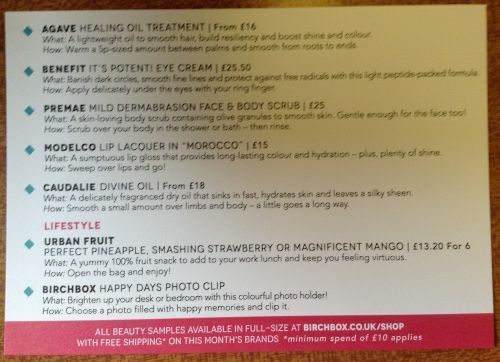 The contents of your box is 4-6 selected beauty samples. Don’t worry – you aren’t getting sachets of stuff that are worth peanuts – you’re getting decent sized trial samples of great quality products. What you receive in your box usually far outweighs the £12.95 you pay in value. I calculated the contents of one box and there was over £50 worth of products in there. This month is pretty good value too. Let’s take a look at the box and what’s inside! Lovely, re-useable, sturdy presentation box. Your goodies usually come in a drawstring bag, or a plastic zipper pouch. 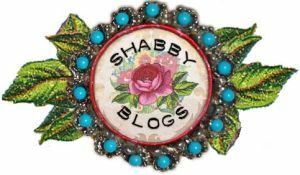 One quibble this month. Birchbox emailed me to ask which ModelCo product I wanted – I had a choice of 2 lipglosses or a mascara. I chose the mascara. They sent a lip gloss. So I do wonder….why both giving us the choice and emailing back and forth to ask? Hmmph! I wasn’t too happy but C’est la vie! 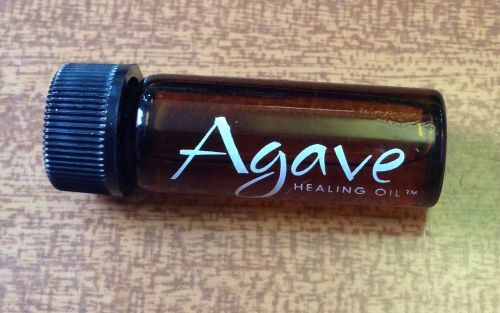 First up – Agave healing Oil. This stuff is GORGEOUS. It smells like coconuts and tropical fruits and is so easy to use. You pop a small amount of oil into the palm of your hand, rub your hands together to warm the oil and then smooth it on your hair. The result? Shiny, smooth, gorgeous smelling locks. I really love this – it’s my favourite thing in the box. I may have to have the full size! Next is the Premae face & Body scrub. A lovely product that I have so far just used on my face. I am going to get at least 10 face washes out of this little sample pot. This stuff is lovely. 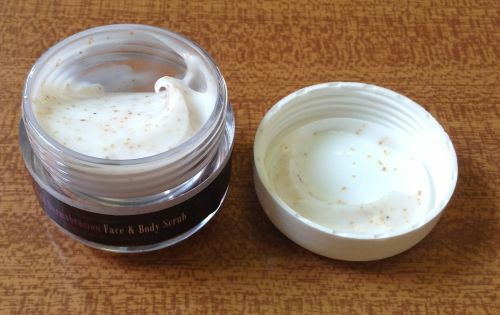 It smells great and although it is a scrub, it’s really soft and not abrasive at all. My face feels absolutely amazing once I have washed it all off – soft and moisturized and refreshed. Again, another one I might buy the full size of. Next product is the ModelCo lip gloss. I like their glosses but I’m still sulking about the lack of mascara 😉 It’s non-sticky, looks nice on and is a lovely neutral colour. I already have a few full size ones so probably won’t bother getting one of these, although the sample makes a nice little gloss to pop into small going out clutch bags. 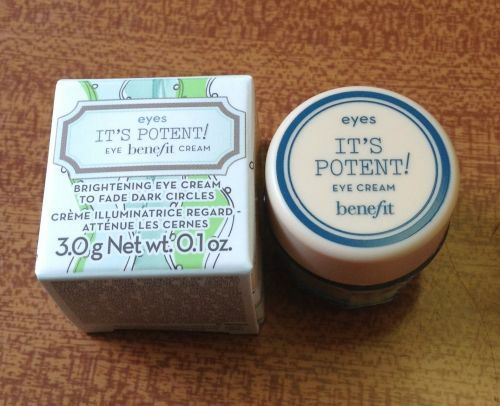 It’s Potent eye cream by Benefit. 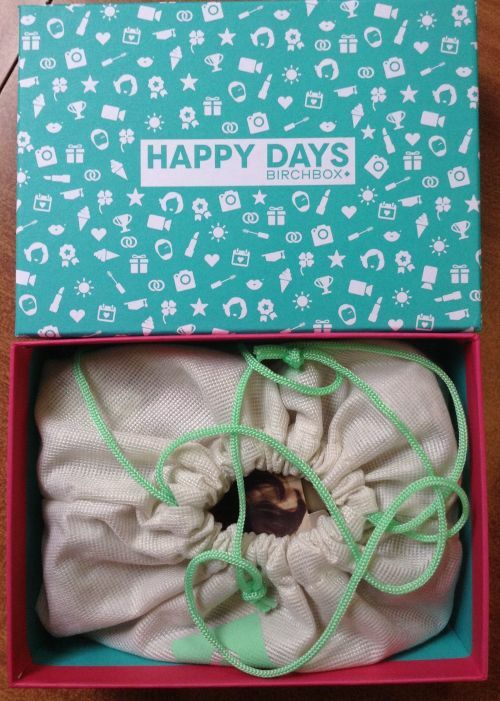 Love this stuff and loved opening my Birchbox to find it inside! Works wonderfully on bags, dark circles and sleep deprived mum’s wrinkles! 😉 At least a couple of week’s worth of applications inside. Winner! It really is divine. I was getting low on night cream and so when this came, it was a godsend. I used it last night and it made my skin feel so soft and calm and I woke up with just a little bit of a glow. The face scrub, plus this, plus the eye cream means I have good skin right now! Finally, there was a pack of dried strawberries – I ate them, they were nice, would have preferred another product but never mind! 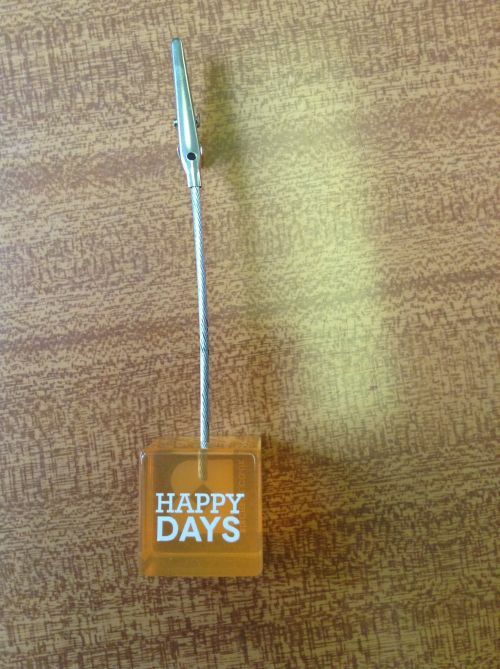 Then there was this cute photo holder…..going to pop a picture of my son in the clip and use it on my desk at work. Happy days indeed! This is my face after a good night’s sleep and using some of the lovely products from my Birchbox. 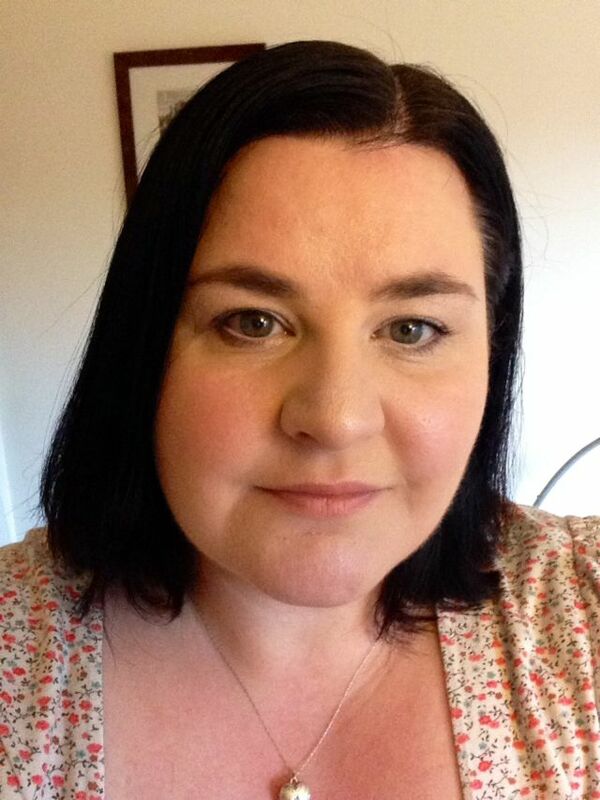 I am quite pleased with the results….at 40 years old you either regret never looking after your skin or you keep mixing it up and trying new products. Luckily, I have moisturized since 16 years of age and always made time for my skin. I stay out of the sun and use SPF wherever possible. 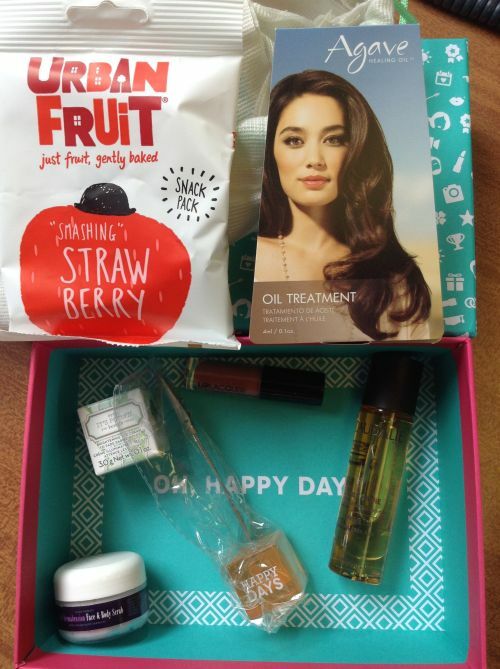 I love trying new products and Birchbox are very clever to set up this monthly scheme – I am sure lots of people try and then buy! But it’s ingenious too because for just £12.95 you can get enough high end beauty products to keep you going for a few weeks. If you can spare the monthly fee, I would highly recommend Birchbox. 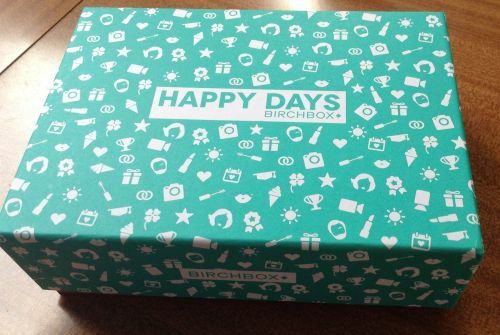 Have you already tried Birchbox? 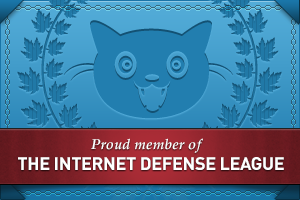 Are you a subscriber and if so, what did you think of this month’s box? 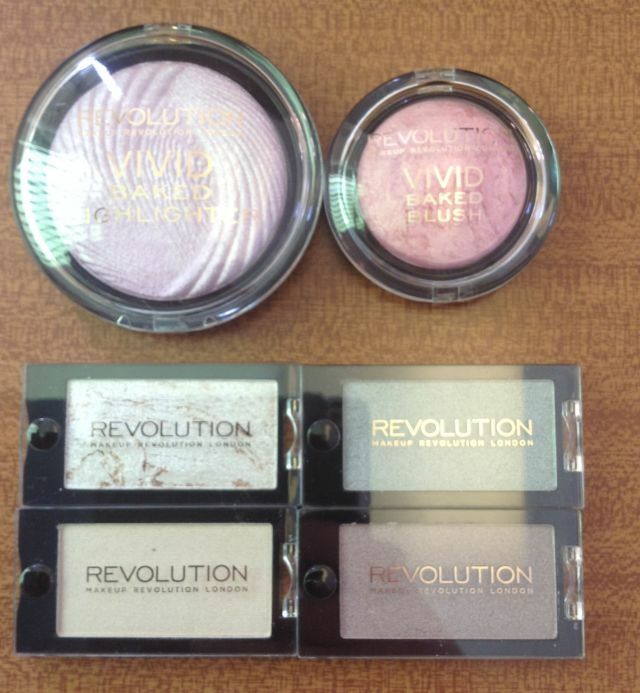 I’ve been buying and reviewing lots of Makeup Revolution cosmetics recently. 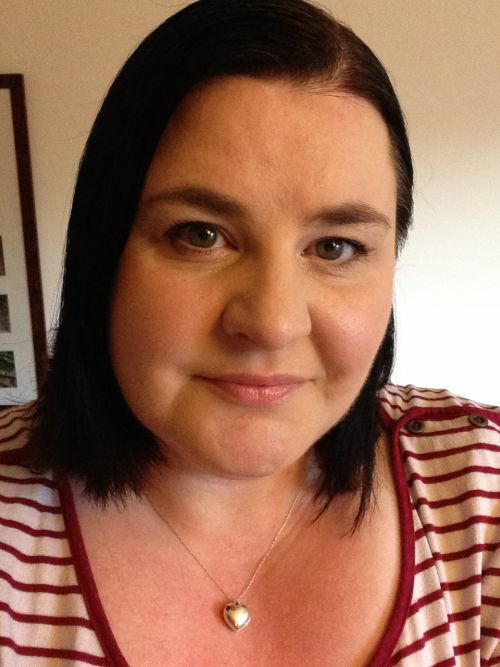 The products I’ve tried and reviewed have delivered surprising results – £1 makeup items proving to be of great quality, giving lasting results and great colour. One thing I am very picky about though is lipstick. It’s one of the few things I’ll pay top dollar for…..I like to treat myself now and again and I believe that lipsticks need to be top quality to stop your lips from drying out as lip skin can be very sensitive. 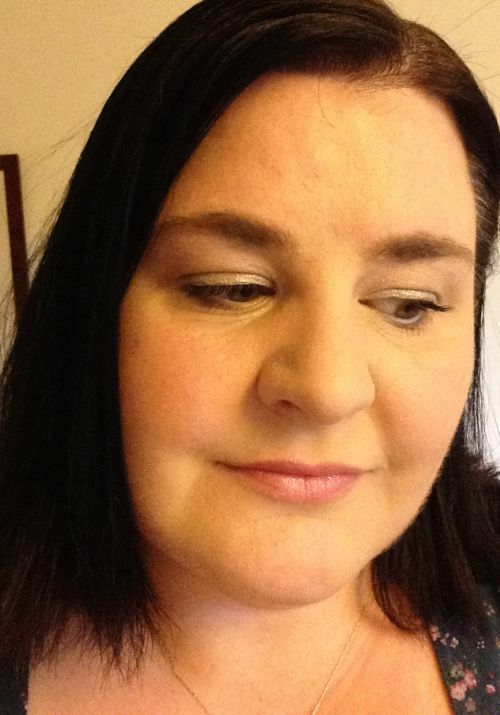 Anyway, despite the great performance from other Makeup Revolution products, I was skeptical about the lippy. So I figured only waste £1 on testing one of these lipsticks. I mean, how good could they be? I ordered a nice, neutral pink shade called Cheer. 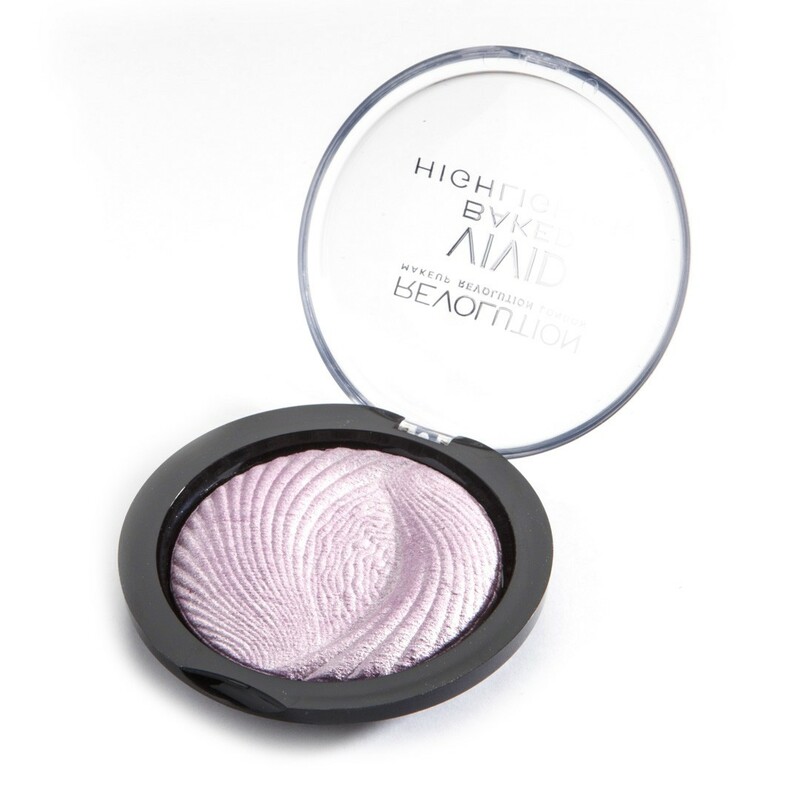 When it came, it turned out to be a lovely shade – nice, subtle and suitable for daytime wear. This is a pretty decent lipstick actually. 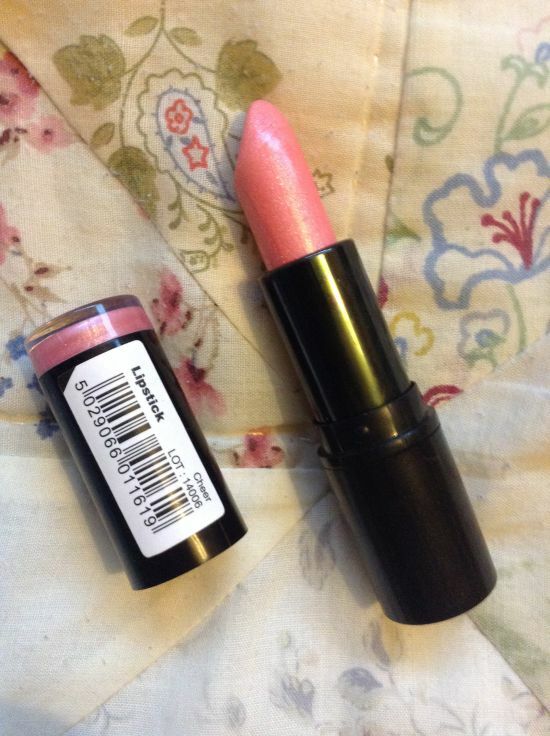 The lipstick applies really well and has a nice, non-sticky finish. I needed to apply a few layers as the colour is really sheer and very subtle but for wearing to work, it’s perfect! 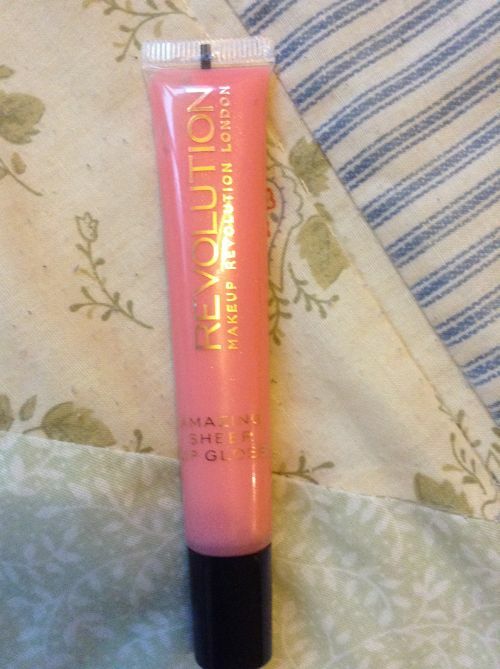 It did not dry my lips out and it lasted okay…..I needed to re-apply after my second coffee of the day. Make up used: Benefit Dr Feelgood, bareMinerals bareskin foundation, Makeup Revolution baked blush, Makeup revolution eyeshadows Frozen & Heavenly, Benefit They’re Real! 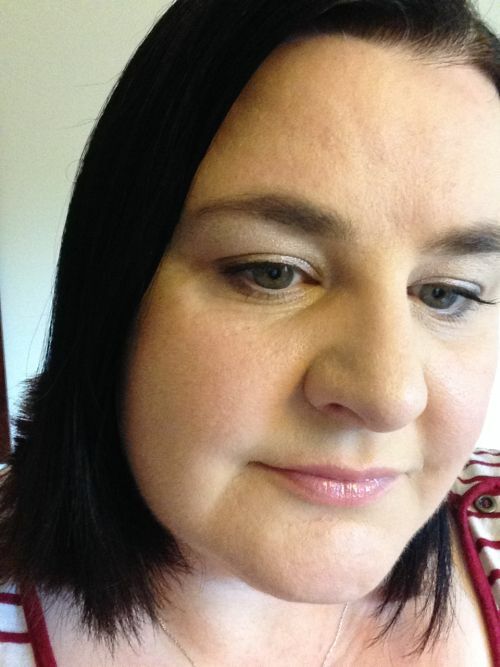 mascara, Sephora white eye brightening pencil, Elf eye pencil and of course…..Cheer lipstick from Makeup revolution! 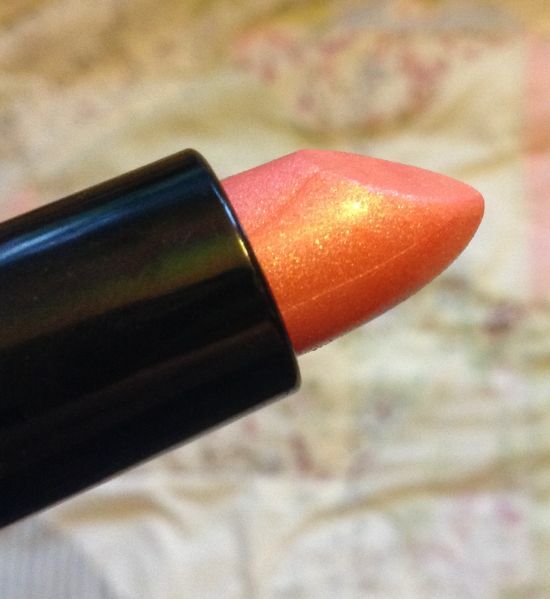 I really like this lipstick and am eager to give a few other colours a try. 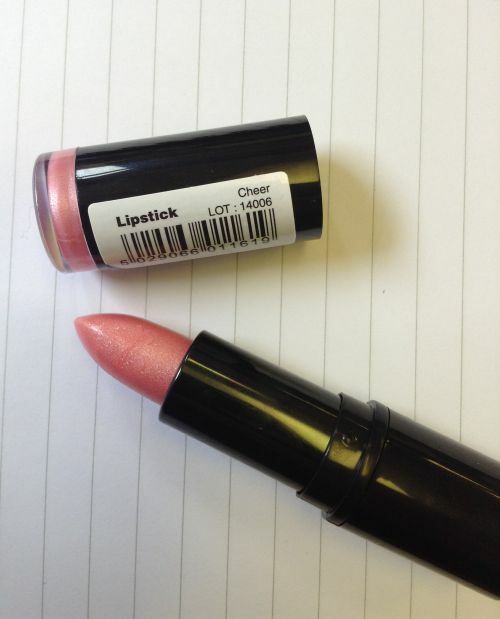 Some of the colours in the range are a bit out there – suffice to say I’ll be sticking with nudes and pinks! These shades I will probably test. These shades? Not so much! One thing that is good about these lipsticks – they lid stays on and the lipstick stays inside the tube. It might sound like a strange thing to say, but I find that with ELF lipsticks, the lid often does not click safely on and then the lipstick comes loose and is no longer usable. Plus, I have had a handbag lining ruined by this happening 😦 I think I may have fallen out of love with ELF a little. Their £1.50 range has increased in price (now £1.95) and the quality is very hit and miss. 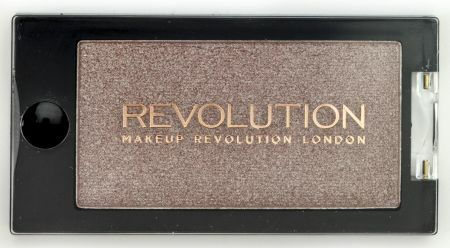 Plus, their unique selling point of selling makeup for £1.50 has now gone and they are almost double the price of Makeup Revolution’s budget range. 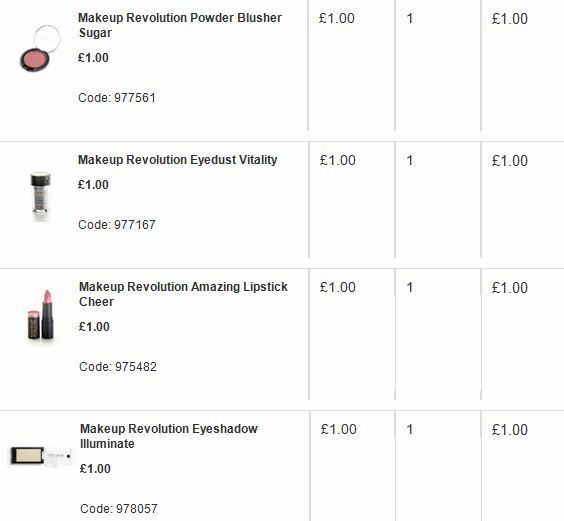 What I love about Makeup Revolution is that you shop for what you want and need, you don’t go mad spending £20 to get 40% off only to pay the same price for ELF makeup as it was before they put the prices up!! 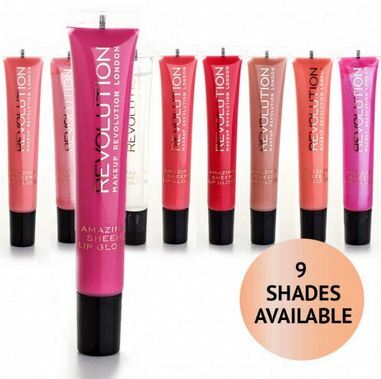 As ever, my top tip is to order from Superdrug as they exclusively stock Makeup Revolution and you will receive free shipping on order £10 and over. 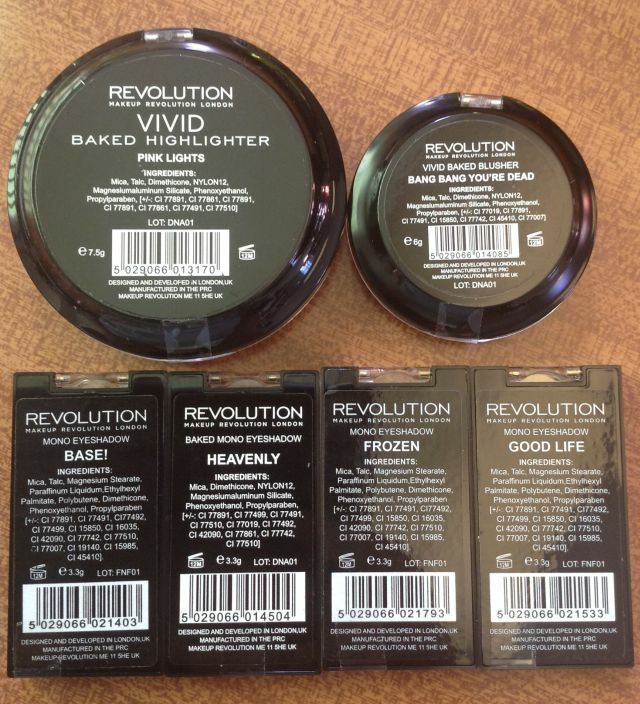 Makeup revolution charge £2.95 on orders under £30 and to be honest…..for £2.95 you can order 3 extra products more or less! 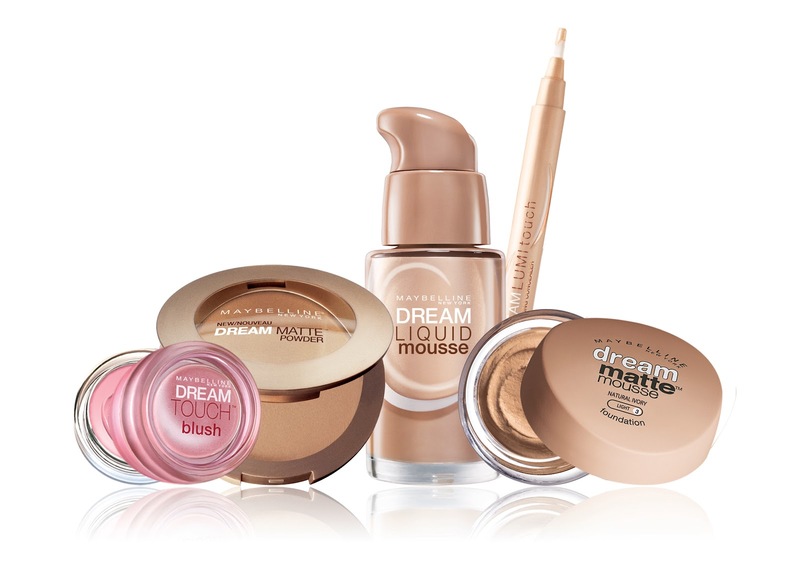 Have you tried this makeup range? What did you think? 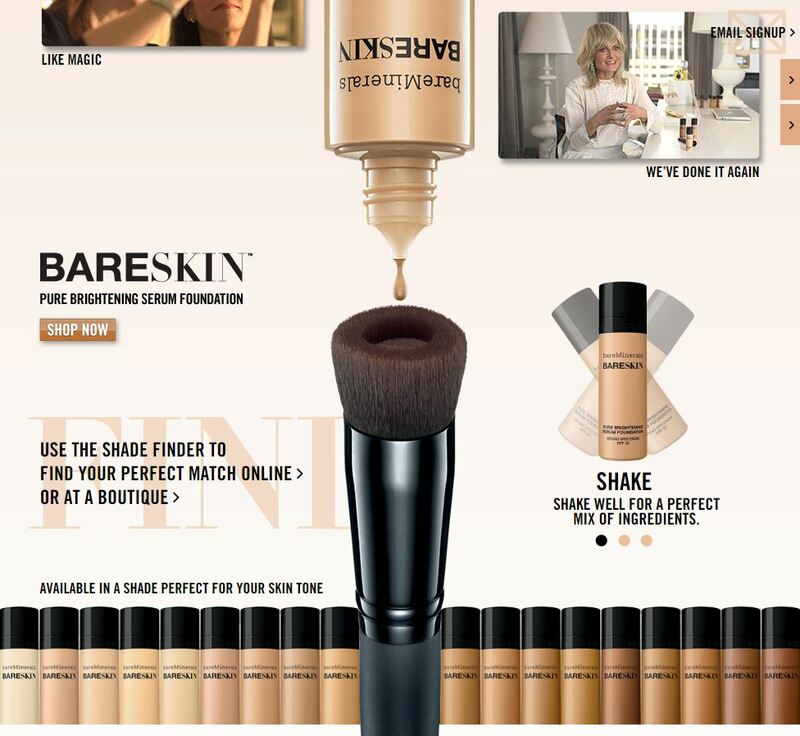 bareMinerals reckon they have made a foundation that does. You can check out the product here. An initially offputting runny formula delivers amazing results, leaving your skin feeling as though you aren’t wearing any make-up at all, whilst giving great coverage to combat blemishes, discolouring and tiredness. Long lasting, non greasy and easy to blend. My Samples, courtesy of So-Post. One tiny drop goes a long, long, long……long way!! Partially blended. This is so you can see how far that tiny drop goes….and will continue to go when you blend more. After face, with a close up on my skin. As you can see, the shade Ivory isn’t spot on for me so I need to experiment to find my shade which I think will have more pinkish tones that yellow. I’m actually really pleased with this foundation. It doesn’t sit in my pores looking cakey and undoubtedly clogging them further. 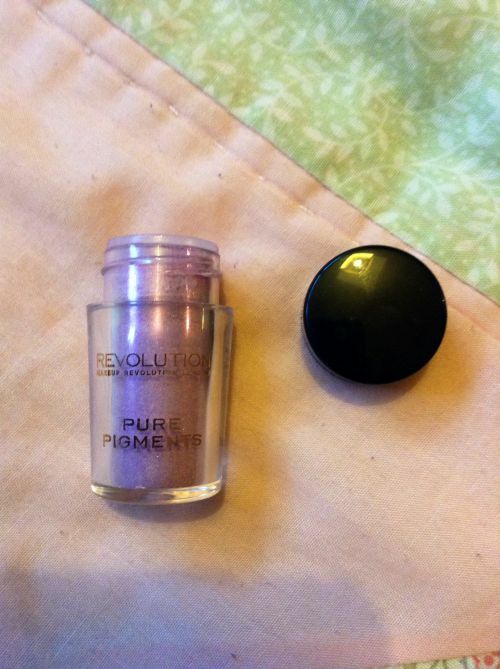 It brightened my skin and did give a good, flawless, soft finish. My skin feels amazing! It doesn’t feel like I’m wearing any make up at all and my skin feels silky and soft. I will definitely be investing in a bottle of this once my samples run out. I just need to find my perfect shade. 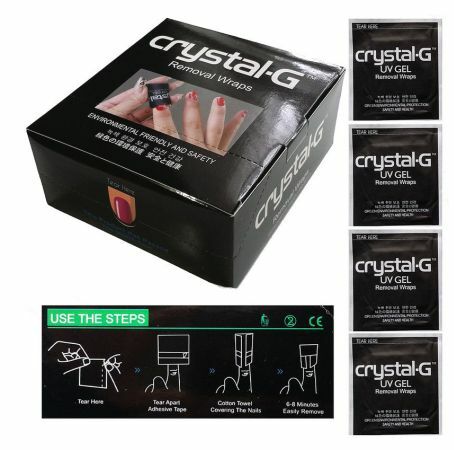 Have you tried this product yet? What did you think? A small update on the last two eyeshadows that I ordered. I can confirm that Good life and Heavenly (pictured below) are just gorgeous. They performed as well as the other eyeshadows from my last review and I still can’t get over the pigmentation, quality and staying power. I’m still amazed by the price too. I will definitely be investing in more eyeshadows and a palette or two! I used Good Life on my eyelid and the corners of my eyes and then used Heavenly above, up to the brow for highlight and definition. I was so pleased with the result; Good Life really brought out the green in my eyes and these shadows stayed put all day long. I want to see how their regular blusher performs, and I am very interested to see the quality and quantity of the eye dust! I couldn’t resist including one of their £1 lippys with my order and of course….I needed another eyeshadow to try. Just waiting on delivery and then I will use and review. Stay tuned! 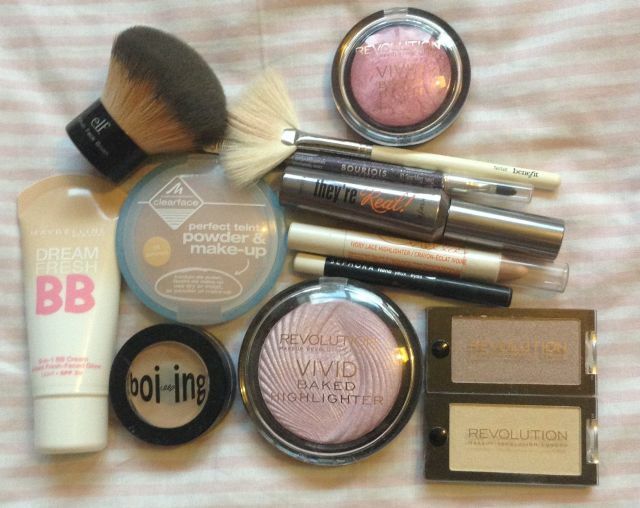 So today I’ve used the majority of the Makeup Revolution products I bought and posted about. I have to say, I like what I see so far, and I can’t select a favourite as all the products are working so well for me. Here’s my before face. Be warned, I’d been awake 15 minutes, had showered and put my hair into a shower cap (it was washed the night before). 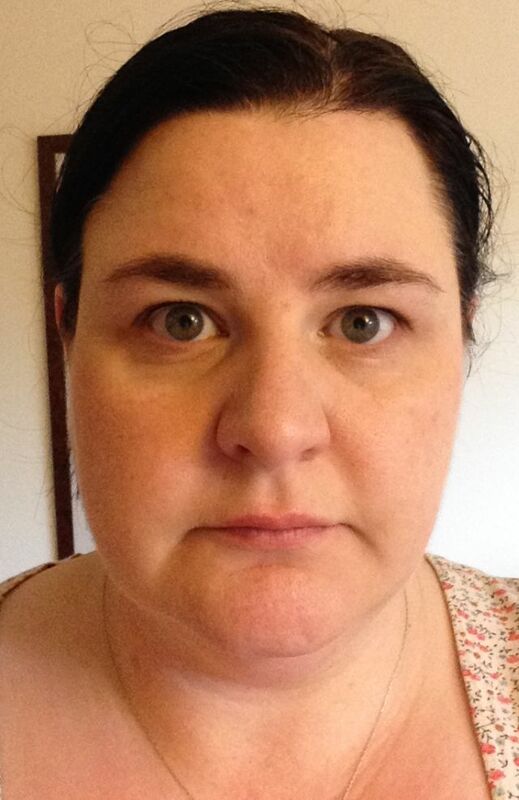 So this is my all natural 40 year old face….after interrupted sleep (18 month old teething!). 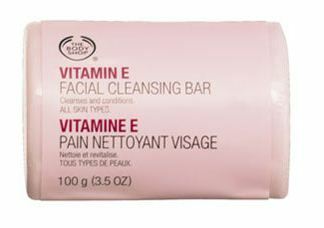 The only product I have used at this point was The Body Shop’s Vitamin E cleansing bar. 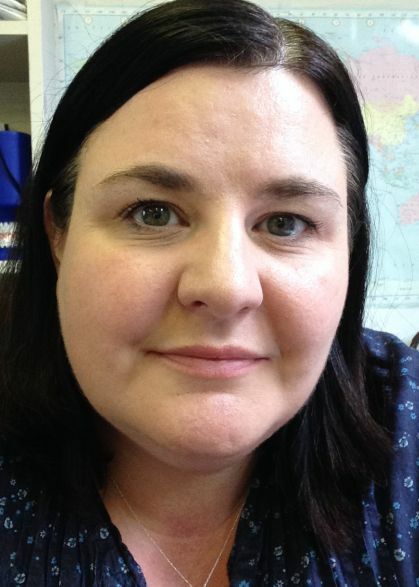 I think we can all agree that I have bags under my eyes, saggy upper eye lids and quite tired looking skin, as well as large open pores and wrinkles around the eye area. 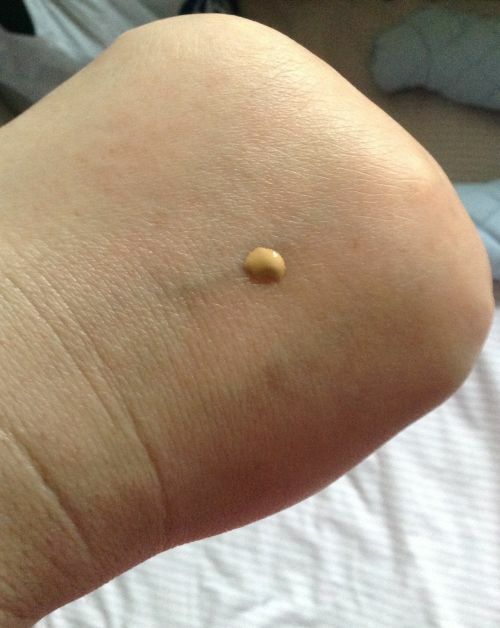 I used my usual BB cream, which is pictured below….this is everything I used today. I followed the BB cream with the baked blush. This applied like a dream and gave a really lovely sheer glow. 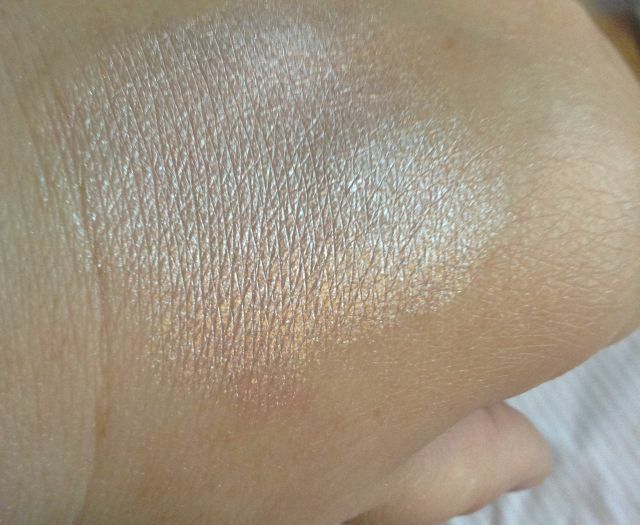 Below is the product swatched on the back of my hand in natural light. I was really pleased with the blush, as I thought it would give a pearly, fake, caked on look but in fact it was the complete opposite. Next I applied my under eye concealer, a little translucent powder and then I was ready for the eyeshadows. I chose Base and actually used it as a base, right up to the brows. 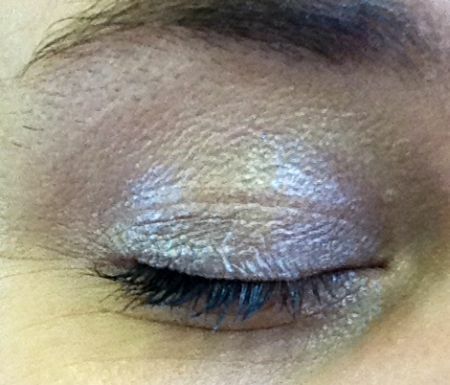 Then I chose Frozen – a gorgeous silvery shade – for my eyelids. 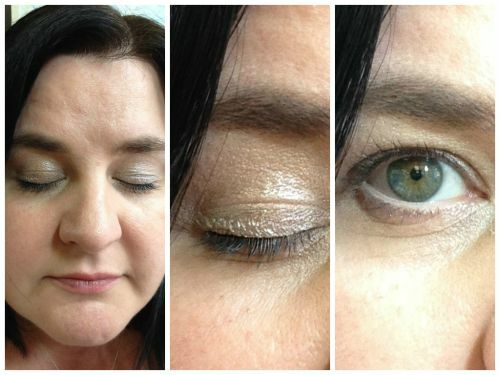 The effect was subtle, barely there and lovely for a daytime natural look when you want to highlight your eyes but don’t want an obvious made up look. I guess you can build it up if you want more of a statement look. 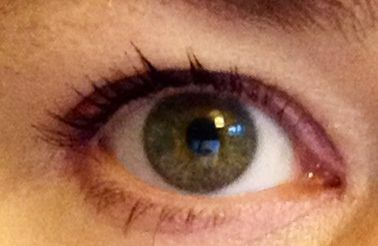 I then did my usual routine….eye pencil in the corners to brighten my eyes…white pencil for the wet line to open my eyes….liner beneath that. 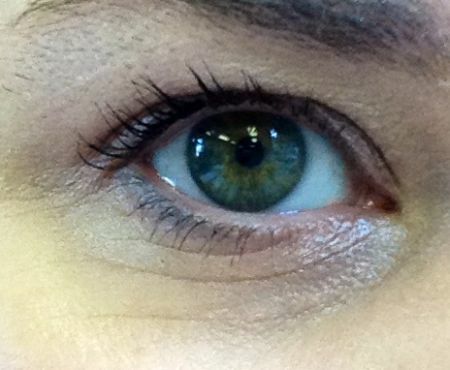 I curled my lashes and used Benefit’s They’re Real, as this is the best mascara ever (it takes some getting off though!). My usual routine was now finished. So I broke out the lovely highlighter which I was dying to try. My advice on this one – using sparingly. A little goes a long way and even using a fan tail brush I managed to cake it on and looked like I had slipped over and fell into a tub of glitter. Plus, I made the mistake of just generally cramming it everywhere without carefully selecting where I wanted to highlight. Next time, I will know better! Also, it clings to pores and makes them more obvious so focus more on cheeks rather than your nose…..also, avoid the forehead! It works well just below the brow bone too. 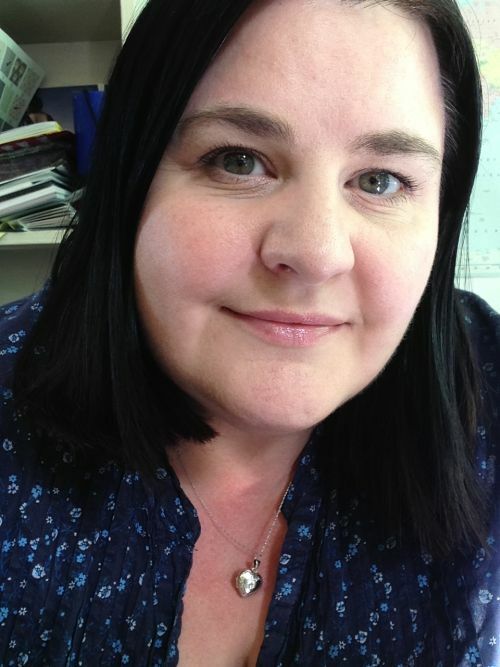 Overall, I love this product – I just need to learn to use it correctly to full effect. So this is me after my full routine, which usually takes me 5-10 minutes tops. 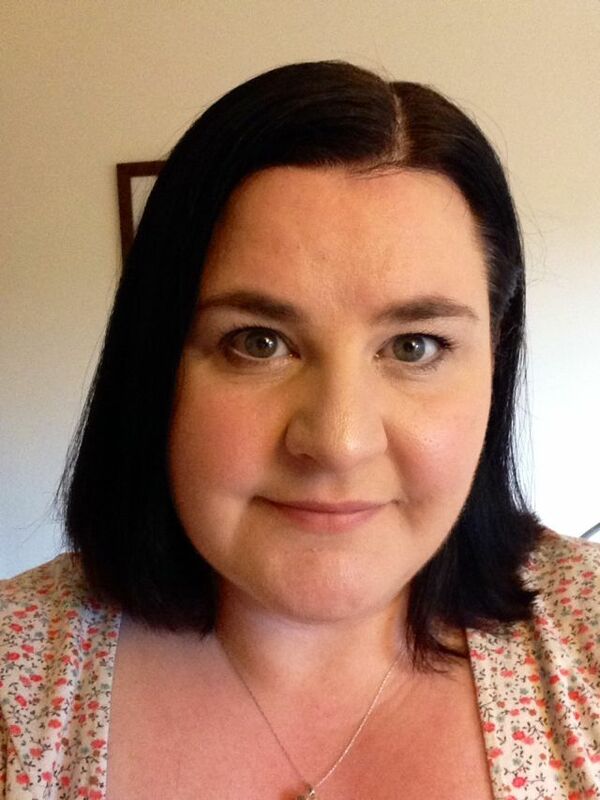 I’ve included the photo below as I think you can really see the effect of the baked blush in this one. 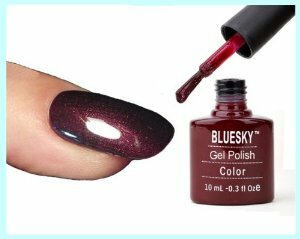 I really, really love this product and want to order more colours to try asap. 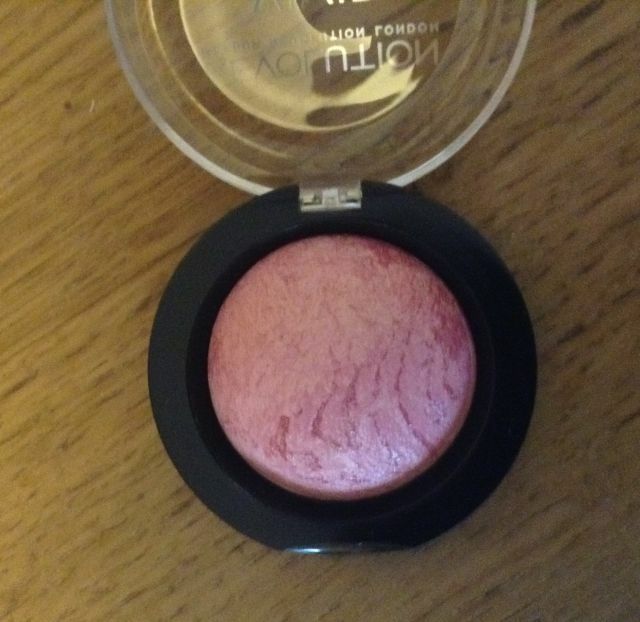 My favourite ever blusher, hands down. I haven’t really used baked products before but I will now! It’s 12.30pm and by this time normally, poor quality eyeshadows have come off and slid into a mass lump in the creases of my skin. So far, these shadows are staying put and they look really nice! 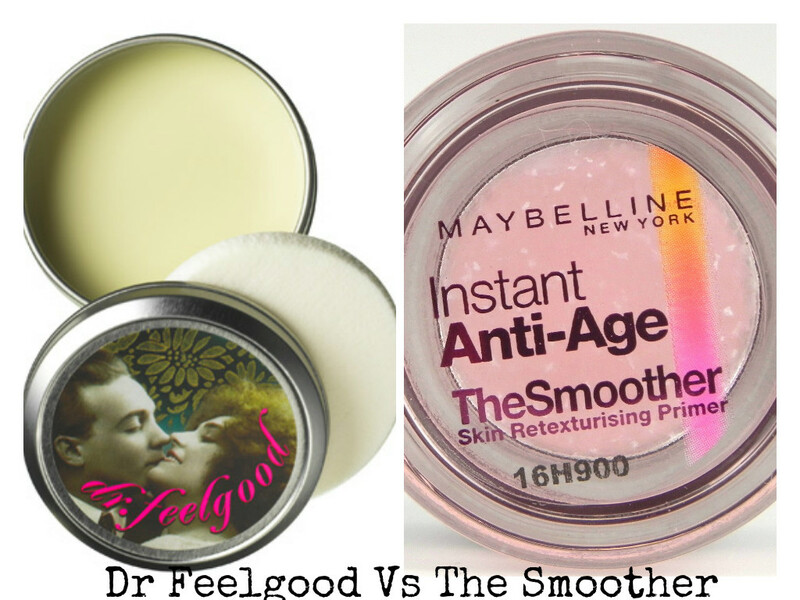 Would I recommend these products for people with mature (40+) skin? Absolutely! The older I get the more I realise that budget brands just don’t have what my skin needs or the right staying power. 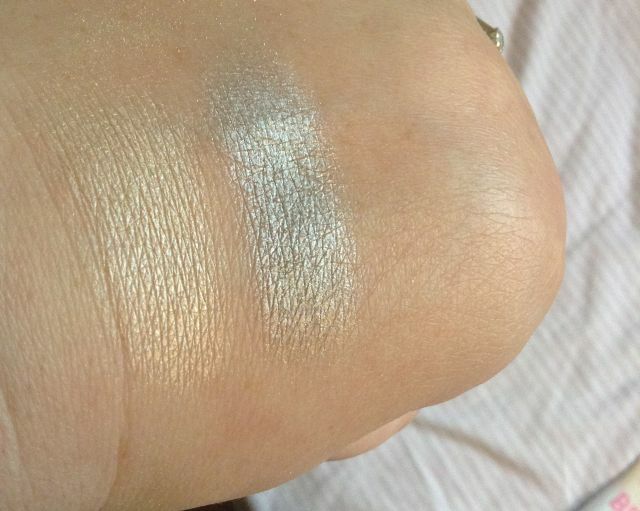 Elf eyeshadows are the worst for creasing and coming off (sadly), and to be honest, I am astonished by the quality of Makeup Revolution considering these shadows were £1 each. I am itching to try lots more of their products now. Browse the collection by clicking the logo below. 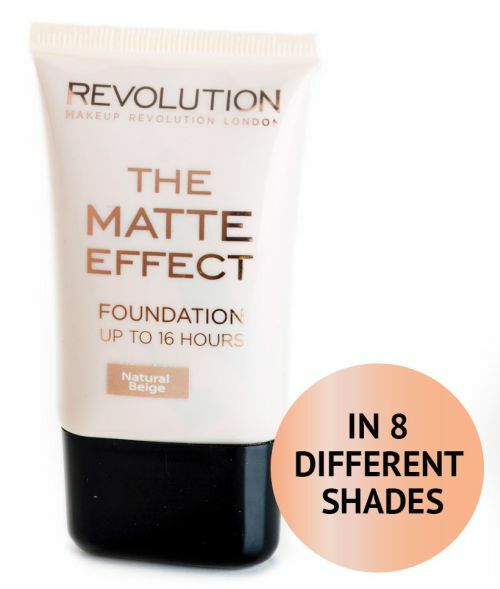 Top tip for UK shoppers – Superdrug stock this brand and if you spend £10 you get free shipping, whereas Makeup revolution charge £2.95 for orders under £30.00. I’m quite excited already by the look and packaging of these products. They don’t feel flimsy and look so pretty. 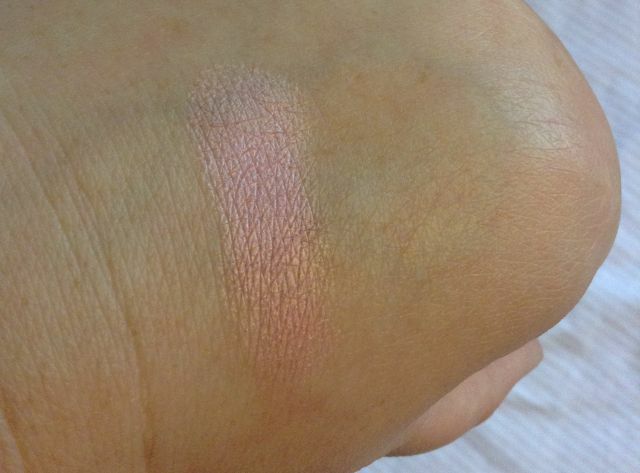 The colours on the blush and highlighter are just gorgeous!